With Hackers breaking into government websites and celebrity social media profiles getting hacked, average PC users have reasons to become paranoid about security of their data. Even when you use a reputed anti-malware solution and resort to complex passwords for your computer, there can be loopholes that can be exploited by malicious users to access your precious data. It makes sense to use software that can offer an extra layer of protection for your data. That is where apps like Folder Lock step in! 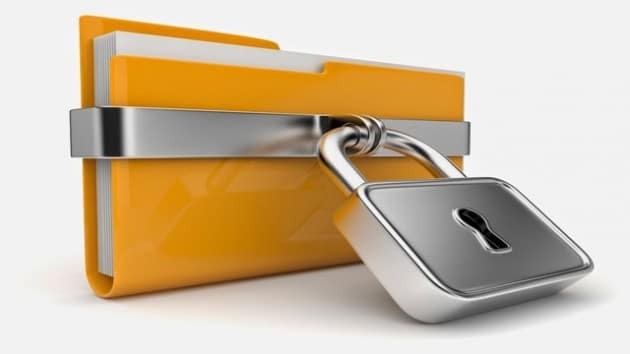 With Folder Lock for Windows, you can secure your files and folders and ensure they cannot be accessed by others. It has an intuitive and aesthetic UI, making things simple for beginners. It lets you password-protect files and encrypt them. You can also backup encrypted data to the Cloud. The app supports 32 and 64 bit Windows versions, starting from Windows XP. You can shred sensitive files using the app. You can try it for a few days before buying a license. It has a stealth mode, which ensures it runs without leaving any trace for other users. This is handy for PCs that are shared by several users at home or workplace. After installing Folder Lock on your Windows desktop or laptop, you need to perform some steps to ensure your data is protected and secured from intruders. Thankfully, Folder Lock offers you a wizard for it and you will not need to spend much time trying to figure things. 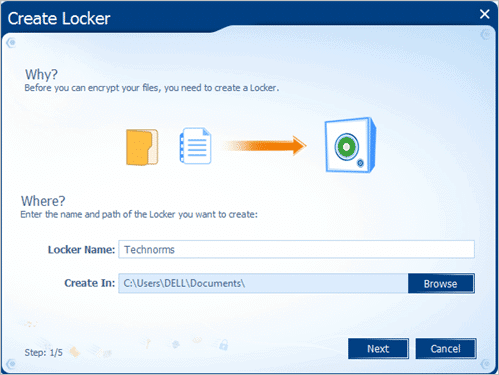 At first, you need to create a locker- which is an encrypted storage container for your data. Select ‘Encrypt Files’>’Create Locker’ on the UI’s top section. The app will create a locker. The locker deploys a highly secured 256-bit AES encryption algorithm so that your data remains inaccessible to others. The lockers made by the app are resizable and dynamic. These can also be moved to network mapped drive and portable drives if required. The Locker creation wizard begins as you select the ‘Create Locker’ option. The wizard will prompt you to provide a ‘Locker Path’ and ‘Locker Name’. The default path will be the PC’s My Documents folder and you can surely choose a separate location. Click on ‘Next’ and you will be asked to type in a password for the locker. A password ensures no one can access the contents of the locker easily. Remember this password is irretrievable. It is prudent that you opt for a password that is easy to recall but difficult to guess! It needs to be between 6 and 100 characters. Folder Lock shows your password strength and also offers you a Virtual Keyboard to enter the password, which is handy. After inputting password, click on ’Next’. Now, you need to pick either a Basic Locker or a Backup-able Locker. One drawback of the Backup-able Lockers is that they have FAT32 file system and have 4 GB capping limit for single files, as a result. The Basic Lockers however, have NTFS file system and they have a maximum size of 14 TB. For most users this should be adequate. The app’s locker wizard offers you data-size ranges which you can choose using a drop-down list. There are few preset size choices and you may opt for a custom size as well. Once you are done with selecting Locker size, click on ‘Next’. Now, the actual Locker creation process begins. You will see a progress bar that will be displayed until the locker is created. After that, the app will display Locker Name, path and Size. After clicking on ‘Finish’ button, you will get an option to open the Locker. The locker will get a new drive name as well. Once locker is created. You may start adding files and folders into it. The created locker will be displayed in the app’s main UI under ‘Encrypt Files’>Locker List. Then you can choose to edit, copy or delete the locker. For performing such operations, using the password will be required. Apart from letting you create lockers, where your data will be password protected and encrypted for additional security, the app also lets you lock data on the fly! You need to select Lock Files tab on the left side of the UI. Then, use its dedicated explorer or simply drag and drop files into the UI. The app will lock those files and they cannot be accessed by others using My Computer. You may also lock an entire partition in this process. Even when you boot in safe mode, the locked data remain invisible unless you use the app. There are a number of data security apps that you can use as a substitute for Folder Lock. That can be the case when you find the former’s price tag prohibitive and may not need so many features! 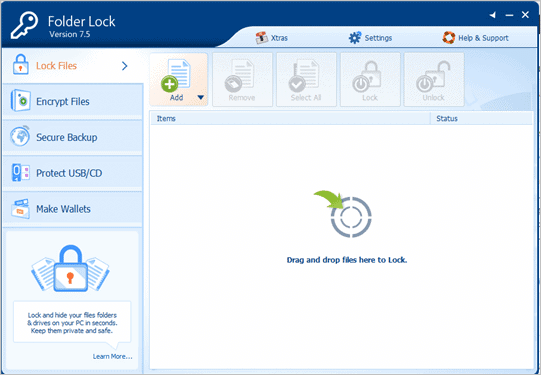 Easy File Locker– Made by XOSLabs, Easy File Locker is a user-friendly and free app ideal for safeguarding and locking your data. It supports PCs with Windows XP and subsequent editions. The app is protected with a master password and settings are minimal but effective. 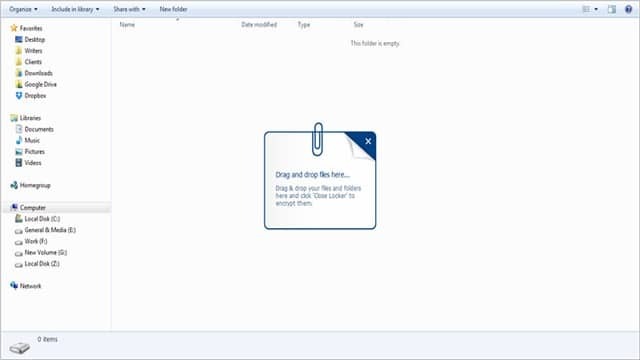 It lets you add files and folders for locking with drag and drop and dedicated explorer. There are no fancy add-on features, but functionality is top notch. Folder Guard – Winability Software’s Folder Guard is a user-friendly data safety tool compatible with a wide range of PCs running Windows. It is not free, but you can try it out for a brief period before buying license. The wizard makes selecting data for locking simple. You may choose to run the app in stealth mode. The use of password protection adds enhanced security for data. With the app, hiding your personal data completely is possible as is disabling access to removable devices. 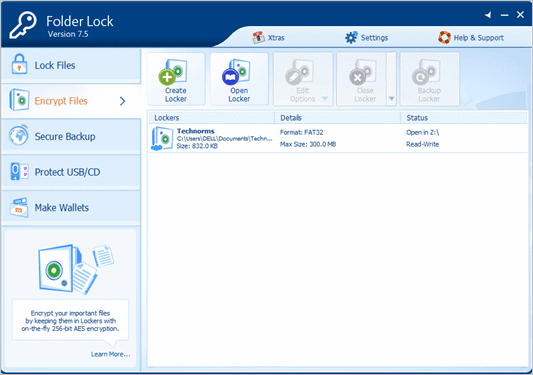 My Lockbox– My Lockbox is a very simple data protection tool, available in free and a Pro edition. The multilingual app is compatible with Windows XP and later versions. The app is quite user-friendly and protects added files even in safe mode. It lets you use password to thwart authorized access. There are customization options, but the free version can hide only one folder at one time. You may override the limitation by upgrading to the pro version. Folder Lock 7 not only protects your files and folders but also encrypts email attachments, takes secure backups and creates a secure wallet to store critical information like like credit and debit cards. The app is available to download for a 30-day free trial post which you’ll need to shell out $40. Considering all peace of mind that comes with it, we’d say it’s money well spent. The app is available to download for a 30-day free trial post which you’ll need to shell out $40. Considering all peace of mind that comes with it, we’d say it’s money well spent.